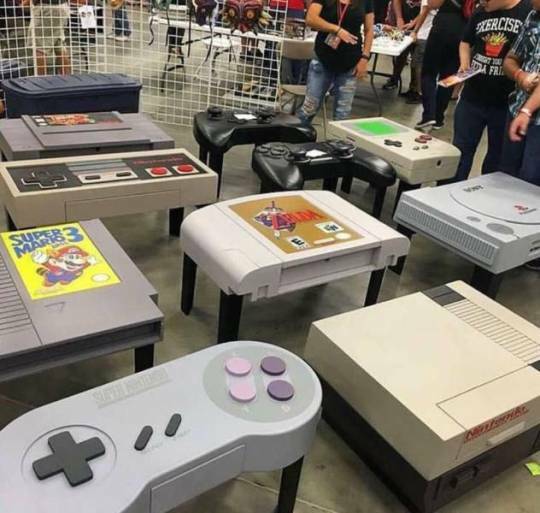 I WANT THE SUPER MARIO 3 CARTRIDGE TABLE!! Video game: Do you like MONSTERS!? Big beautiful awe inspiring BEASTS? Majestic gods of their domain!??? Gorgeously designed creatures that seem to live and breathe on their own terms?!?!?? Video game: Im this game you can FIGHT and KILL them!